It's May! Another month whizzed by and, boy, things have sure been busy for me lately. Thanks for still sticking around and for engaging with me on Facebook and Instagram. I've also tried Twitter again because I want to see if it's still an effective platform for me. If it proves to be a howling wilderness after a month of Tweets (check out #TopazTweetsOnTues), then I guess I'll just delete my Twitter account. Anyway! Because I've been busy elsewhere, this blog was the one that turned into a howling wilderness. Don't worry! I am not quitting blogging. I've just been busy with work but my contract is done and so this May, I'm going to blog again! 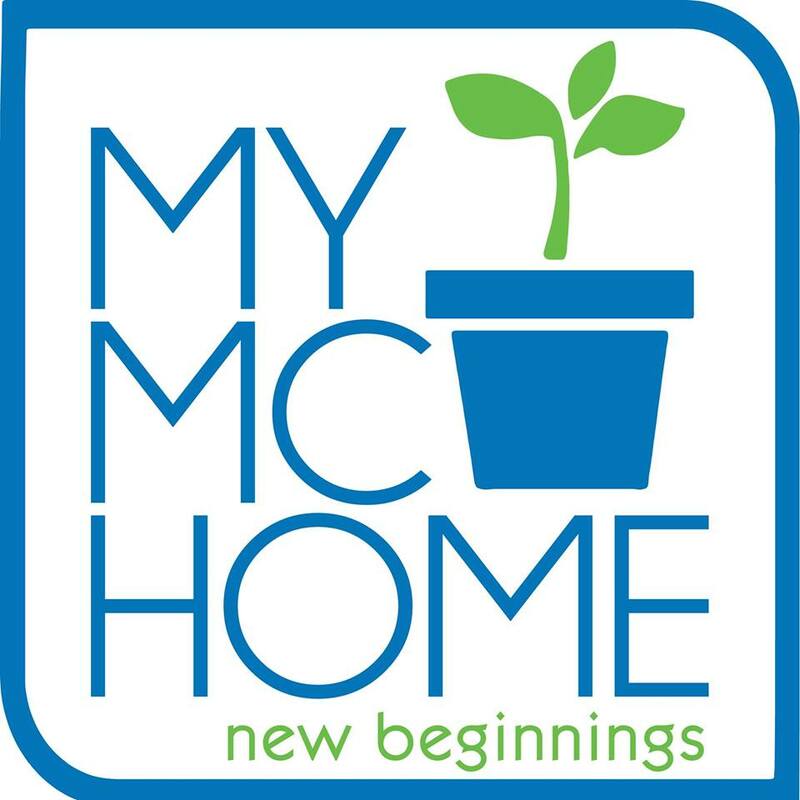 Here's what I'm going to share with you, dear Loyal Readers: my online shopping finds from Calyxta, Adobomall, and Kamiseta, my wedding anniversary celebration at Baguio, my new finds for the home (Simply Modular shelves and Cheers picnic party sets, my new ways to look more fabulous (Kilo Off and Flawless treatments, and more! I'm so happy I'm blogging again! I'll also be doing workshops again this month, and Manila Workshops is hosting my first workshop this year! 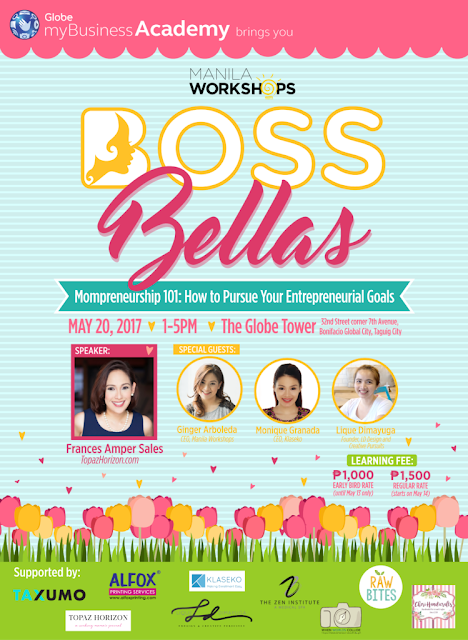 It's called Boss Bellas: Mompreneurship 101 - a workshop exclusively for moms who want to go into business. Please sign up! We'll have fun! Lots of prizes! This also means I'll do a Facebook Live post soon. I always do a Facebook Live broadcast before a workshop. It's how I practice! I'm very nervous doing workshops, you see. I almost always throw up just before! But ever since I started doing FB Live before a workshop, I found that it calms me down. My most popular FB Live topic was "5 Reasons Why No One is Reading Your Blog." So here's a blog post about five more! Tip to get more readers: Share your blog posts everywhere!!! You may have heard the success stories of bloggers getting thousands of readers a day. You may have thought to yourself, "Why can’t my blog be like that?" The truth is that growing an audience for any blog is difficult – especially nowadays when there are so many out there. Here are some of the reasons why your blog may be suffering, and how you can fix this and get the readership you deserve. 1. You promote only your blog posts on social media. The biggest reason why so many blogs fail is because they're not promoted well or not at all by their authors. Social media is key for keeping people up to track with your latest content as well as interacting with your readers. If you haven’t already, create a Facebook page and a Twitter page for your blog. Invite all your friends to follow these pages and then make sure that you keep posting any new content the moment it’s published (you can use plug-ins as found at CoSchedule.com to automatically post your content to social media). There’s even the option to promote posts for a small payment and guarantee more readers. Now the next question is how do you get people to follow your social media accounts and how do you keep them? Through engagement. While of course your social media is about you, if you keep it exclusively about you, it can be a turn off. People want community, people want to engage. So while of course you'll share with your followers your blog posts as they're published, do also share links to articles that your community will like. For example, my blog is now a working mama blog. So on my Facebook page, I also share articles from parenting and business sites about the working woman life. I share news about how our government makes (or unmakes) policies and laws that will affect a working mother's career. This is a value-added service to my blog readers. Plus, they won't think my page is all about my blog—it's also a place where they can be updated about issues that matter to working mothers. Be relevant. Be useful. 2. Your content is too niche (or too broad). Having to accept your content is the problem is never easy. It may not so much be the writing style or the layout, but could simply be the nature of the content. There may be not enough people out there with an interest in it. On the other hand, there may be too many blogs relying on the same content. That's what happened to me. After a while, my readership had reached a plateau. I guess there was just too many mommy blogs out there. So I had to find a niche in the mommy blogging scene. Hence, this became a working mama blog! 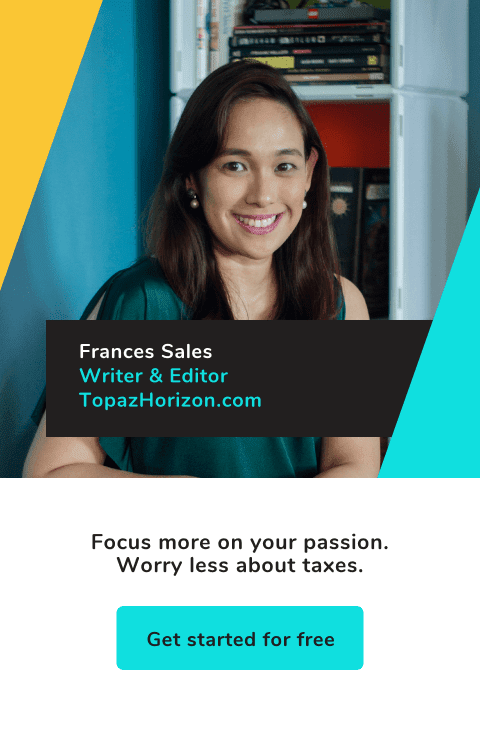 It's still about motherhood but instead of exploiting my kids (hahaha), I now talk about something that matters to me and to many mothers — our careers! Get help improving your content using sites such as http://blogging.com/. Research other blogs related to your content and see what you can do to make yours more inclusive, or alternatively make yours stand out. 3. You’re not using analytics. By this point you’ve probably used some form of analytics to realise your posts aren’t getting any traffic. However, you may not be using these analytics to your advantage. I got this tip early on from Jackie Go. She really learned how to leverage the data she got from Google Analytics down to when she publishes her posts. So I paid more attention to mine (I just checked it for the site stats before) and realized that when I publish and promote posts mid-morning and late at night, more people visited my blog. And that is why it's now 10pm and I'm writing this post! If you’ve got the Google analytics plug-in installed (Blogger users will already have it installed), use this to check the age, location and gender of your audience so that you can cater your content more towards them. Find out the times when people are most regularly visiting your website so that you can post new content at this time. Stop being afraid of these figures and charts and use them to help improve the effectiveness of your blog. 4. You’re not using links. Why do blogs need links? This hyperlink ought to explain. Search engines such as Google appreciate websites and blogs that aren’t all about them. You may think that putting links to another website will deter readers to other places on the web, but it can actually cause search engines to improve your rankings. This is a common practice used by SEO companies. You can also use internal links that lead from one post to another post on your blog. I use Linkwithin. It really helps drive traffic to old and forgotten blog posts. Try it! 5. You aren’t blogging regularly enough. Last and most important reason of all why no one is reading your blog: You're not blogging regularly. I say this all the time at my blogging workshops because I've seen it time and again happen to my blogs. When I'm not updating my blog, the visits drop. What can I do? I have a life to live! But it's true. Update regularly and they will come! So remember: You may not be getting the readers simply because you’re not blogging regularly enough. You’re never going to get lots of traffic by blogging once a month. Readers like a blog that feels busy. Try to aim to publish new content at least once a week. And make sure people know that you usually update on a certain day. Say, Mondays are for your family's weekend escapades, Wednesdays are for your healthy kiddie recipes, Fridays are for your thoughts on motherhood. Things like that help readers to look forward to visiting your blog. You can opt to blog daily – just make sure you’re not sacrificing the quality for quantity though. So that's why I'm excited to blog again after soooo many weeks gone! I miss blogging, I miss my readers, and I have so much to tell! Come back this week for more updates! See you! To find out more reasons why people aren't reading your blog, watch this! To sign up for my workshop, click here! This is very helpful Ms. Frances. Thank you for sharing. Thanks, Maye! =) Good luck with your blogging adventures!